time and a need for an enthusiastic reaffirmation of the biblical doctrine of substitutionary atonement, it is now. With this foundational tenet under widespread attack, J. I. Packer and Mark Dever's anthology plays an important role, issuing a clarion call to readers to stand firm in the truth. 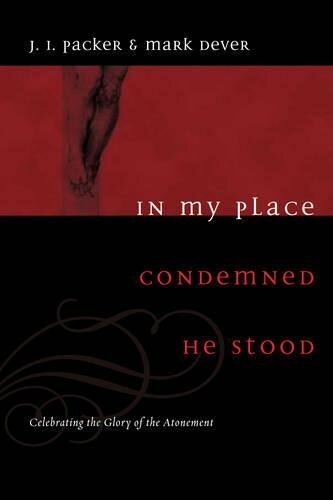 In My Place Condemned He Stood combines three classic articles by Packer-"The Heart of the Gospel"; his Tyndale Biblical Theology Lecture, "What Did the Cross Achieve"; and his introductory essay to John Owen's The Death of Death in the Death of Christ-with Dever's recent article, "Nothing but the Blood." It also features a foreword by the four principals of Together for the Gospel: Dever, Ligon Duncan, C. J. Mahaney, and Al Mohler. Thoughtful readers looking for a compact classic on this increasingly controversial doctrine need look no farther than this penetrating volume.